Known as the vintage influencer in corporate America, Ms. Houston Vintage 2016, Mimi Irvin “aka” as OfficicalCorporateChic is far from ordinary. Mrs. Mimi Irvin was born in Yokosuka, Japan and comes from a military background. She received a Bachelor of Science degree in Electrical Engineering from Southern University A&M College in Baton Rouge, LA. On a whim, Mrs. Irvin started a fashion blog called Corporate Chic on Facebook to inspire women to think outside the box with their corporate fashion, while accomplishing it on budget. Mimi’s motto is “Dress the Part, Shop Smart”. Within just a couple of months after she started “whim blogging” one of her social media confirmations of being a fashionista was being voted on by many she didn’t know and she was chosen as the 2013 winner of the title Vizions IN Fashion Online competition. Aside from her corporate day job, Mimi Irvin is a vintage resale curator, vintage fashion influencer, stylist, and model. She has created a connection with people, specifically women, from all over simply by showcasing her daily looks on social media. This has evolved into selling her love and passion for vintage on her online vintage fashion shop MeYe Label (pronounced MY Label). 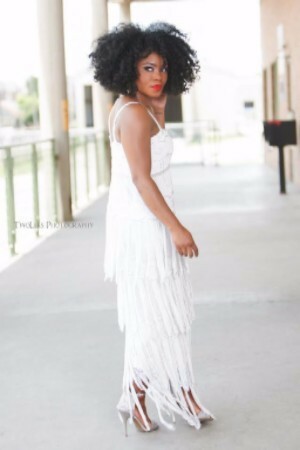 Mimi has been featured and has made various appearances including in the Essence Festival 2014 Street Style Showcase, Fashion Bomb Daily, RAW Houston, Art of Fashion, Houston Vintage Market vendor 2015 & 2016, and various Pop up Shops both locally in Houston and outside the city. Mimi also participates and leads in community events. Through her company volunteer program, Mimi mentors youth during Engineering Week. She regularly participates in panel discussions to encourage individuals to pursue STEM careers, and was a speaker in the "Achieving Success in the STEM Workplace" lecture at The American Chemical Society’s Women Chemists of Color Program”...and you know Mimi has to incorporate her vintage fashion. 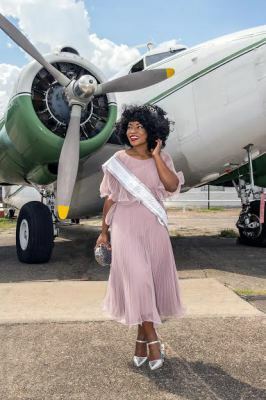 She organized a “Remix on Dime” fashion show that was hosted by the Katy-Prairie View Jack and Jill Chapter that showcased vintage clothing that had models from the ages of 5 – 40. 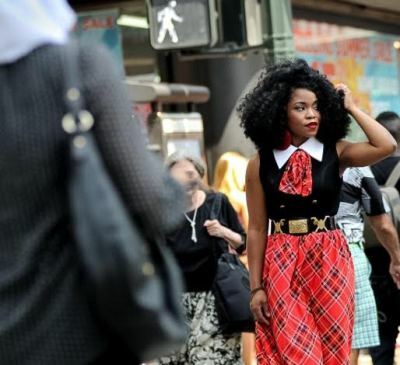 It focused on showing young adults and adults that they can “Dress the Part, Shop Smart”. Mrs. Irvin is a firm believer that DREAMS can be accomplished no matter the age, race or gender.